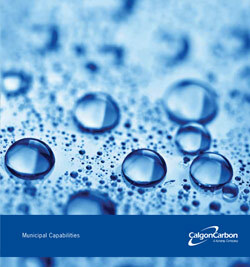 Calgon Carbon has the proven technology to treat and remove emerging contaminants simultaneously . Emerging contaminants are chemicals or materials that have been found in global drinking water supplies and are perceived as potential threats to human health. While these contaminants may have always been present in drinking water, advances in technology have only recently made it possible to detect them. Contaminants are classified as “emerging” if a new source or direct pathway to humans has been determined. These compounds often include pharmaceuticals, personal care products, pesticides, herbicides and endocrine disrupting compounds. More recently the presence of these contaminants, even at trace levels, has raised questions and concerns about drinking water quality among consumers, regulators, governments, and suppliers. Calgon Carbon's cost-effective technologies ensure tens of millions of people drink clean, safe water every day. A wide range of capital and service equipment can respond to unique material requirements reflecting aggressive process stream conditions. Calgon Carbon’s UV Technologies has over 20 years of experience in treating emerging contaminants, including 1,4-Dioxane, using UV Advanced Oxidation Process technology. Granular activated carbon is one of the most effective and affordable treatment options to remove cyanotoxins produced by harmful algal blooms and protect against the intrusion of algal toxins into drinking water system.